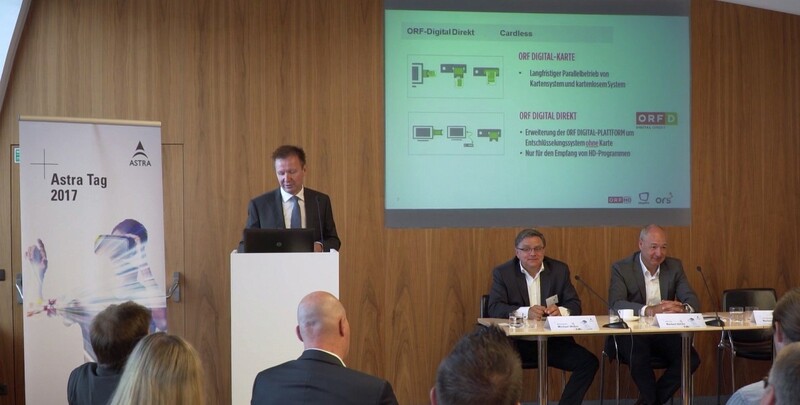 ORF Digital Direkt will enable satellite reception of the channels of Austrian public broadcaster ORF without a smartcard as the encryption will be software-based. Additionally, the ORF Digital Direkt households will be able to sign up for commercial channel package simpliTV SAT, also using cardless encryption, which will include the channels of RTL and ProSiebenSat.1 in HD quality among others. With the move, ORS expands the simpliTV brand used for its DVB-T2 platform to DTH satellite. The new platform will be a hybrid service also granting access to ORF’s video-on-demand portal Flimmit as well as LTE internet. With the move, ORS – 60% owned by ORF and 40% by Raiffeisen group – will directly compete with the HD Austria platform operated by M7 on Astra. HD Austria contains more than 20 HD channels including RTL and ProSiebenSat.1. The new platform will be operated in parallel with the current, smartcard-based ORF Digital satellite platform which ORS wants to maintain until 2030. The company announced its plans at the presentation of the Astra TV Monitor 2016 in Vienna. According to the survey, DTH satellite remains the most-used TV reception method of the 3.57 million Austrian TV households, serving 2.03 million households (57%). Cable TV follows with 1.11 million households (31%), IPTV with 0.26 million households (7%) and DVB-T with 0.17 million (5%). Interestingly, satellite and cable lost households compared with 2015 while IPTV and DVB-T gained reach. In 2015, there were 2.12 million satellite households and 1.12 million cable households. IPTV reached 0.19 million and DVB-T 0.14 million households. The figures refer to the main TV reception device of each household, usually the large flat-screen TV set in the living room. The number of HD households rose to 2.27 million in Austria in 2016. This corresponds with 76% of all TV households – an 8% increase compared with 2015. DTH satellite leads with 1.63 million HD households followed by cable (0.83 million) and IPTV (0.19 million). Ultra HD is also gaining ground: At the end of 2016, almost half a million (490,000) Ultra HD TV sets were in Austrian living rooms (2015: 230,000).